Even though awareness on betta fish care seems to be slowly spreading, both pet stores and the internet are still an enormous source of misinformation. Betta bowls, vases and tiny “aquariums” are still sold on a large scale, which means many unfortunate bettas die a premature death due to bad housing. Even though bettas are very small fish and often quite cheap, they still need to be kept in a heated, filtered aquarium to thrive. Keep reading to see some of the most common betta myths smashed and find out just why a bowl, vase or very small tank is not enough to keep your betta healthy. False! While the water bettas live in sometimes seems muddy due to its darker color, it’s actually stained by plants and fallen leaves. They are not “used to” dirty water: a filter and water changes are necessary. Although the water is often quite shallow, the rice paddies and streams bettas naturally occur in are actually huge! Your betta will not “freak out” in a larger space. If it does, you should add more hiding places in the form of plants, rocks and decorations. Growing live plants can be intimidating, but luckily there are many beginner plants such as Java fern that help a betta feel safe. False! There is no excuse for keeping your betta in a very small unfiltered container. Proper aquaponics systems, where plants are grown on top of the aquarium using the wastes from the fish as fertilizer, can be a fun project. However, the tiny “aquaponics” tanks that seem to be all the rage because they claim to make water changes and cleaning unnecessary, are little more than betta death traps if you use them as advertised. Cleaning, heating and filtering is always necessary! False! Bettas naturally occur in Thailand and Cambodia, where it actually gets really hot. This myth was created to make impulse buying a betta more attractive. If you keep your betta in temperatures below 76 °F/24,5 °C, you will quickly notice it becoming lethargic due to the cold. A heater like this one is 100% necessary unless you have a fish room with a stable, high temperature. In a round bowl, adding a filter and a heater is almost impossible, and they will take up much of the already very small space. Getting a square vase or tiny aquarium that can accomodate this equipment is unfortunately not a better option. The filter will be mostly ineffective in breaking down ammonia and nitrite: establishing a stable cycle in such a small amount of water is almost impossible and water values will constantly fluctuate. The alternative, very frequent 80-100% water changes, is stressful for the fish unless you work with a drip system in a bigger fish room (which is what many betta breeders do). As mentioned before, adding plants is unfortunately not a good replacement for a filter either, as they are not able to remove the waste a betta produces. For example: In a 10 gallon (38L) aquarium, a tiny piece of rotting food won’t do much harm. The beneficial bacteria will take care of any ammonia and there is plenty of water to dilute it; water values will remain relatively stable. However, if you only have 1-2 gallons (3,5-7,5L) of unfiltered water to work with, that piece of food can cause a big ammonia spike that can harm or even kill your betta within a short time span. There are no beneficial filter bacteria to break the ammonia down and no large amount of water to dilute it. The same goes for temperature, which is almost impossible to keep stable in a small container. The constant fluctuations are very stressful for the fish, which can eventually result in disease. Consistently bad water values inside a small pet store cup caused this betta to develop severe fin rot as well as blood poisoning. Luckily, he was rescued by theblondeaquarist. Although heightened ammonia and nitrite levels can kill your betta by themselves, this is not the only danger in a bowl. As mentioned before, water values and temperature will often be all over the place; this is very stressful for your fish. Stress is very bad for the immune system, so even if bettas seem hardy enough to survive the fluctuating, dangerous water values at first, they will eventually fall prey to disease. This can range from fin rot, which is very common and relatively easy to cure if not progressed too far, to parasites, fungus and internal bacterial infections like popeye. These diseases can all be fatal to your betta. Although there is always medication, you should try to prevent them. Overmedicating damages fish and doesn’t solve the initial problem of bad housing! Although they are small fish, it’s best to house your betta(s) in an aquarium of at least 5 gallons (~20L) like this one. More is always a plus! Some aquarists say a starting point of 2,5 gallons (~10L) is fine, but this is not something I would recommend unless you’re an experienced betta keeper or breeder. It’s very difficult to keep the water values stable in these mini setups and I personally think a 2,5 gallon is too small to keep any fish in. A bigger aqauarium is usually much more pleasing to the eye as well! A betta setup needs to be filtered like any other aquarium. The filter is necessary to establish a stable cycle, which is crucial to keep your betta healthy. If you don’t know what cycling is, be sure to read this article before you get your betta. A thermostat heater is necessary even in very warm areas to keep the water values stable and prevent stress, unless the fish room is consistedly heated to a suitable temperature. To make your betta feel safe and comfortable, it’s also a good idea to add tall plants and hiding spaces. Regularly checking whether your water values are still where they need to be is very important. You can use a drop test kit to do so, as test strips are unfortunately quite inaccurate. If you’re still unsure about suitable betta housing, take a look at Betta Than A Bowl! This article contains more info as well as some great examples of well-housed bettas. Still not sure how to go about setting up your better Betta fish tank? This extensive 12-chapter guide might prove helpful. It will unfortunately likely be a while before betta bowls, vases and tiny unsuitable tanks disappear from pet- and aquarium store shelves. In the mean time, don’t support these products. A bowl is pretty at first, but the fish will turn lethargic and sick quite quickly without proper care, which is definitely not a pleasant sight. Your betta will live a much longer and happier life in a filtered, heated and well-decorated aquarium. If you still have questions about betta bowls, want to share your (bad) experiences or think I forgot something in this article, be sure to leave a comment below. Happy betta keeping! 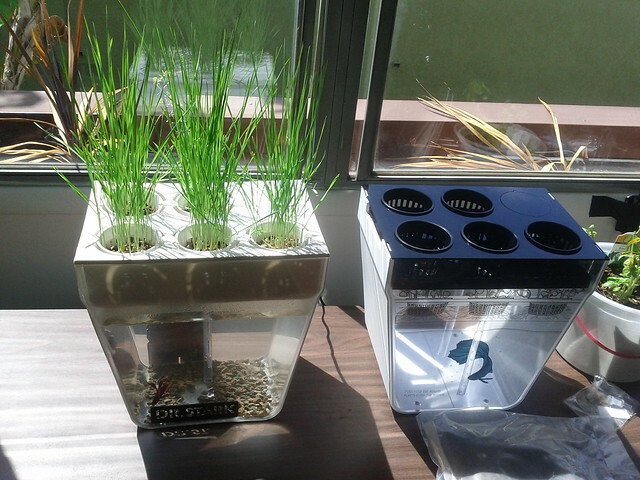 From the aquaponic’s (hydroponic’s) side I read keep the fish separate of the plants (two tanks). Exchange only the water to the plants and filter back to the fish. I am by no means an aquaponics expert, as I’ve never made any serious attempts to grow plants in this way. I’ve only grown terrestrial plants in my aquariums, so not in a separate aquarium. That being said, I wouldn’t imagine a Betta to make a great choice for aquaponics unless you’re just doing a little project for fun. They’re too small to really be effective as far as I know. hi just wondering as i have a huge 20L bowl that i have a filter and a heater in and living plants. Ive since been attacked on social media saying im still abusing my fish because he is in a round bowl. I spent alot of time effort and money on making his bowl a natural environment for him and he seems alot happier then he was in the tiny box he was in at the shop. So i guess my question is dose a round bowl have any impact on my fish? Its actually a 25L bowl i just checked. Sorry to hear that. Round bowls in and of themselves are not an issue, a cycled 25L bowl should be just fine for a Betta. The only issue I can think of is that in many bowls the surface area is very small, but with the increased water movement of a filter it should be fine as long as the fish can reach the surface easily. Also, Betta fish are jumpers so I recommend having at least something like mesh or mosquito netting to cover the top of the bowl. I totally understand wanting to see actual scientific research, as much fishkeeping knowledge is based on just experience. You mention the fish needing a certain amount of water even with water quality, but I think the main issue with smaller tanks is that it’s very difficult (especially for beginners) to actually maintain that water quality. That’s the real issue to me. It’s not exactly scientific research, but you can easily see the fluctuations in smaller tanks yourself using a liquid drop kit. Things can get out of control so fast! Even if you’re not a beginner, this can cause issues if you catch a problem too late. Thus, the reason I personally recommend a larger water volume is mostly based on the extra leeway it gives you when it comes to water values (when it comes to a species as tiny as a Betta anyway). I’m also a fan of trying to imitate the natural habitat of the fish or its wild ancestors as far as that’s possible in a glass rectangle (and their natural habitat is not tiny), but as you say that’s just a matter of preference. I tried to communicate that in this post, my apologies if it didn’t come across as it was supposed to. I have access to scientific databases right now so if that reply doesn’t satisfy you then I can always have a look. I’ve found it difficult to find proper research on these topics though, as many studies are riddled with validity problems. My son has received a betta fish for his birthday today (unbeknownst to me) and he loves it so much, he wants to keep it. Its in a glass bowl, and I’ve made plans to buy a proper tank tomorrow (21L, secondhand), and researching like mad. My question is, if I fishless cycle the new tank, does it need a filter? 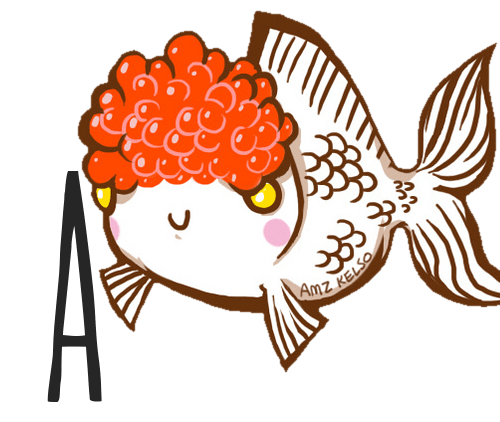 And is the fish (now named Reddy. As you’ve probably guessed, it is red) able to stay in the glass bowl until the new tank has been cycled? My apologies for the late reply, I hope Reddy is doing well. I suspect you might already have found some info on this by now, but in case you haven’t: yes, you do definitely need a filter if you’re fishless cycling as the filter is the thing that actually makes your tank cycle in the first place. Reddy will be able to stay in the glass bowl, but you’ll have to do frequent water changes with temperature matched dechlorinated water (I’d say 50% every other day). He’ll also appreciate the addition of a heater, which you can also use for the 21L. I have an entire article on cycling an aquarium here which contains everything you need to know and should be helpful if you’re still not sure how this works. Good luck, I hope it all works out. Thank you so much. I ended up not doing a fishless cycle because my sisters cat knocked the bowl over and smashed it. We managed to save Reddy in an old ice cream tub, but moved him into his tank as quick as we could. He’s thriving, and seems so much happier, and now swims around his tank instead of just floating in one spot. The lady at the pet store thought I was crazy for buying everything I needed, as was his friends mum who bought it for him. They both told me it was a waste of time because they only live to a maximum of 6 months. One of the main reasons people buy Bettas is because they can live in very small confines without any major problems. another reason is that they are very hardy fish and can survive for long periods of time without changing the water and without feeding. I have a friend of mine who went on vacation for a month and when he came back his Betta was still alive. This is why people by Bettas, other than they are beautiful to look at. I would not try what my friend did with his fish, but personally I have kept Bettas in 1 gallon or less tanks alive for more than 3 year ! All I did was change the water over the weekend and nothing else. Sometimes I would forget to change the water with no ill effects. My Bettas continued to look health and looked very happy. When I read articles like this I scratch my head and wonder what the authors were drinking. If you need a 5 gallon tank then you don’t need a Betta. Maybe some other type of fish would Yo Talk about fake news. If you think need a 5 gallon tank then you don’t need a Betta, maybe some other type of fish would fit the bill…. Please don’t try to spread misinformation on this website. Bettas need a cycled, heated aquarium of at least 5 gallons to thrive. 2.5 gal and up MIGHT work if you can get the tank to cycle, but it’s not ideal and I’d recommend against it if you’re not an experienced fishkeeper. You can tell yourself otherwise all they want, but that doesn’t change the facts. Being alive is not thriving. Keeping fish in tiny unfiltered bowls is abuse and the fact that misinformed people buy them because they “can be kept in very small confines” does not change this. If you had done water tests on your 1 gallon or less “tanks” you would have known how much your fish were most likely suffering. Additionally, there are no other fish that can be kept in a 5 gallon tank besides one or two species because it is TINY. Again, please do not spread misinformation and consider reading up on fishkeeping with a more open mind rather then dismissing everything that doesn’t agree with your stance as “fake news”. While I’m going to upgrade my little guy’s 0.5 gallon to a 2 gallon (at most), I hardly trust anyone who actively promotes and makes a profit from advertising aquariums and fish supply stores. Well, what do I even respond to a comment like this? If you’d like to keep your Betta in a tank that’s too small despite reading a 1300+ word article that details exactly why you shouldn’t, that’s your own personal choice. If you choose not to trust a site that advertises Betta-friendly aquariums so it can pay hosting and keep publishing informative articles such as the article in question, that’s also your own personal choice. I’m not sure why your Betta would have to suffer just because I include ads in my content, but hey, that’s just me. BETTA OWNER This is a joke right? How about me then? I dont advertise for anything, anywhere. However, I am a Zoologist and I can tell you that this article is absolutely correct. You may also want to look up the principles of Denialism and Confirmation bias. The cognitive dissonance is strong in those with tiny Betta tanks. Pets are not a right. If you don’t have the space to properly house a pet or the time to provide care for it, you shouldn’t have that pet. Maybe you got lucky with your fish, but that doesn’t mean it wouldn’t have been more healthy/active or lived longer in proper conditions. There are records of captive Bettas living up to seven years. And what is the appeal in providing the bare minimum standard of care anyway? Why are you decrying a fishkeeper for providing good care to their animals and telling them to get a life for educating people about proper care? I feel really bad about keeping my first two bettas in bowls. I was a small child and didn’t know better. I recently lost a betta due to an unknown infection, but he lasted significantly longer than the ones in bowls, even though he was sick. It really makes a difference, folks. Thanks for sharing. I think we all made aquarium-related mistakes when we were younger but the most important thing is learning from them and changing our ways! Oh man, I think I need some help. I got a betta a week ago. I had no idea how much I didn’t know. I bought a bowl and some gravel and the pet store people said “Get a betta, that’ll be perfect.” So I got it and brought it home. And as I was looking at him, I thought, “It’s too small.” So last Sunday I went and got a 2.5 gallon tank. I put a plant in and a couple decorations, and I sat and looked at it and thought, “It’s still too small.” Then I started googling. Ugh. So I got a ten gallon tank, set it up and put him in. I treated the water first, but had yet to come across the concept of cycling. Anyways, that’s where I’m at. The water is stable temp at just under 80 degrees, and I just cycled 15%. But he’s very, very lethargic now. I’m afraid he’s going to die. Incidentally, I got the fish because my brother has one – he says he’s had it for two years in a 1 gallon bowl and the pet store people scoffed when I went back and told them the bowl and then the 2.5 gallon tank were too small. Do you have any advice on how I can keep him alive through the cycling process? I’m so sorry to hear you were misinformed at the pet store, but I’m glad you’re dedicated to improving things for your Betta. Okay, so. Keeping the fish alive. It seems you’ve got everything in order now (I assume the new tank has a filter?). Your most important tool the next few weeks will be your liquid water test kit – if you don’t have one yet, get one ASAP. Avoid test strips, they’re less accurate. You’re going to have to do very frequent water changes to keep your ammonia down while still allowing the tank to cycle, which can be pretty difficult and also a long process. There is no guarantee the fish will make it, but a good method is described here in the section “fish-in cycling” (I don’t have an article on fish-in cycling on Aquariadise, sorry!). It offers a good chance of success. Since your Betta is lethargic right now, it’s probably a good idea to do a relatively large water change of ~50% to lower ammonia. Be sure to add in the new water slowly to avoid shocking him, and treat it beforehand to remove chlorine. Overall, try to keep his stress levels as low as possible and try to leave him alone unless absolutely necessary. If you have any more questions feel free to ask. I hope your fish makes it. In the meantime, be sure to research like crazy – but don’t believe everything you read at face value, there’s a lot of nonsense out there. Thanks for this info. I have wanted a betta for awhile but every time I see them in stores I think, “I should really research this first.” I’ve heard of aquaponics and thought it might be something I’d like to try with a betta. So I googled it, ended up here, and now I don’t think I’m equipped to ever own a betta. I’m not experienced taking care of any kind of fish. So I’m glad I came across this. I had NO idea about anything in this article. Stop buying them, and buy them from a good fish or pet store! Let’s not anthropomorphize here! Collectively not buying Bettas from pet- and aquarium stores that treat them badly is the best way to ensure the least amount of Bettas ends up mistreated and miserable (along with writing to the store and speaking to the manager). If you ‘save’ a fish, another will take its place. I have kept my betta in a 2g tank i dont have enough money to buy it,i feel bad for my betta.Is the aquariums in craiglist fine?im from india will they recieve inr(indian rupees)pleease reply befor dec30.ive seen many websites and videos too.this website gave me every information,thanks! You should be able to find cheap aquariums on any site where people can sell their used products. Good luck! I really wish I would have known this information sooner. My first betta Charles got sick yesterday. I was changing his water regularly (twice a week), and I had enough space for him to surface. It wasn’t a vase or bowl, but a giant apothecary jar that held about 3 gallons of water. Today, he was so sick he was laying on the bottom of the tank. I went to petco and asked around and they said I was overfeeding him, nothing about the bowl being the problem (the bloodworm container said 3x a day, instead of once every 3). I came home from petco with a salt treatment, but he had died. :'( I wish I had known this. Oh no, I’m so sorry to hear that 🙁 Unfortunately a larger setup that’s filtered (and more importantly, cycled) and heated is crucial in keeping bettas healthy. If you ever decide to get back into betta keeping, this article describes exactly what a proper betta tank looks like. This article contains everything you need to know about feeding bettas – they do need more than just bloodworms to stay healthy. The apothecary jar makes a great container for tropical plants like Cryptanthus bromeliads. If you ever decide to get another betta – good luck 🙂 I’m sure things will go better with the knowledge you have now! I have 5 gallon bowls the temperature is right and I do regular cleanings, all my bettas are in good health and seem to be stress free. Is this OK? If the bowls are filtered (and cycled) and heated and have lids then that’s fine. 5 gallons is the recommended minimum for bettas, the shape of the tank doesn’t matter that much. It’s just that the average fish bowl is much too small! Hi! After reading your article, I’d still like to try aquaponics but with a different container. I can build my own tank (already done one and went great) but I’m wondering if you could help me with the measurements, specially height. Which is smallest height possible? Do bettas prefer swimming up and down? Also, are guppies good tank mates according to your experience? I’ve read mostly good comments in other websites. A few were bad, though. What I can tell you is that no, bettas don’t prefer swimming up and down – they naturally inhabit shallow waters and prefer a shallow aquarium as well. So a longer aquarium is better than a taller one. As for your other question, bettas and guppies don’t really match. The guppies are too active and colorful and might also nip a long-finned bettas fins. I have 2 bettas Spike and Mr.Bubbles. Mr.Bubbles is in a ten gallon tank, and Spike I just got today from Walmart he has fin rot and an infected looking face. I was not prepared for spike so I got a vase ready put some stress coat in and he seems ok. The bowl is about one gallon. Is this ok? No, as you can see in the article a bowl is not a good home for a betta at all, you should always have a full tank set up and cycled before you adopt a betta! Please get a real aquarium as soon as possible, it will be a hassle to cycle it with the fish already in there but not impossible. Good luck! how can I tell if my betta is happy??? A 20 gal is so great for a betta! I kept mine in 13 gallons and it was so clear they don’t “freak out” in bigger spaces at all, he seemed to love the space and being able to explore. As for the betta breeder thing, many experienced breeders actually do believe tiny containers are suitable for bettas, I’ve experienced this as well when I visited betta shows. These people are fish experts who often work with drip systems and know how to keep a betta healthy in a very small container, which is necessary because of how many bettas they have to keep. However, they often also seem to think any aquarist can do this, which is not the case. If you don’t have a bigger filtered setup, there are going to be problems. Great article! Very informative, I wish I could have shown this to my aunt when she had a betta..poor little thing. As someone with a betta in an aquafarm, i think this article is a bit unfair toward the miniature aquaponics systems. Calling them a “deathtrap” is an overstatement. Yes, the advertising for these tanks need to be changed, but these tanks can be used properly. The Aquafarm is three gallons, small, but within the range for a betta. There is room for a heater, as mine has. Also, just because it says self cleaning does not mean that you have to not clean it. Mine gets water changes and I test with the API test kit, and everything is great. This being said, it can be harder to get to the tank to clean algea and vacuum gravel. The plants also actually do help remove nitrates, making a noticible difference whe. The plants are removed. Roots also allow for nitrogen fixing bacteria to grow, thus allowing a cycle. So I would say overall the problem with these is false advertising, not necessarily the tank itself. This being said, i have bought another tank since then for a rescue betta, and i went with a 5.5 gallon and its planted, and i did not get another aquafarm. If someome was between a bowl and an aquafarm, the Aquafarm is much better in my opinion, though a normal tank is probably still best.Sorry this is super long.